In Long Forgotten, a blog dedicated to the Disneyland ride The Haunted Mansion, blogger HBG2 discusses the difference between two types of scares: "Boo" and "Brr." An example of a "Boo" scare is a hand clawing at you through a broken door. A "Brr" scare is the same door, now closed and intact, but pulsating like a beating heart. One is a seen horror, an immediate mortal threat. The other is unseen horror, something that might not be as frightening in the moment but sticks with you long after your heartbeat has gone back to normal. Another good source of "Brr" scares would be the 1999 landmark found footage horror film The Blair Witch Project. With their small cast and low budget, the filmmakers relied on the viewers’ imagination, rather than special effects, to generate horror. Even the film’s famous final scene, where one character faces the wall while another presumably meets her grisly demise, works only because the viewers don’t actually see what is taking place outside the camera’s field of vision. Ironically, though The Blair Witch Project was a hugely influential horror film, it seems to have very little influence on its 2016 sequel, Blair Witch. The two might have nearly the same plot, but they are drastically different in tone and style. If (another) sequel to The Blair Witch Project seemed unnecessary, the film's pre-release ad campaign at least made it look like it could be fun. The new movie was filmed in secrecy under the shooting title The Woods (it was only during a screening at Comic Con that the truth came out that this wasn’t just any woods-based movie). The revelation that is the film was in fact a sequel to The Blair witch Project was initially intriguing, even more so because of the director behind the helm. Adam Wingard’s previous films—such as mumble-core horror film You’re Next (2013) or day-glo Terminator homage The Guest (2015)—blend innovation and nostalgia with an almost scientific precision. Who better to take a dead but well-regarded franchise and breathe new life into it? 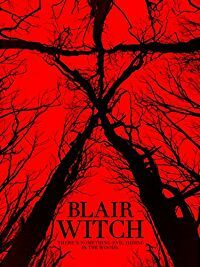 For all that potential, however, what we get in Blair Witch is simply a slicker, faster-paced version of the original movie, a film that hits all the same beats as its predecessor without understanding what made them work in the first place. It is all boo and no brr. Blair Witch focuses on James, the brother of Heather from the first film. After seeing some mysterious footage online, James becomes convinced that Heather is still alive in the woods—despite the fact that it’s been over fifteen years since her disappearance. James decides that he wants to check the woods out for himself. Along for the ride are three friends: Lisa, a budding documentary filmmaker, and Peter and Ashley, who are mainly there to act as cannon fodder. Rounding out the group are two Blair Witch enthusiasts, Lane and Talia, who promise to help James in his search for answers but may have their own agenda. After spending one night in the woods, the group wakes up to find their campsite surrounded by the iconic stick figures. They wisely decide to forget the documentary project and high-tail it out of woods. But when they try to find their way back to their car . . . they can’t. Then night comes. And never ends. Early on, the movie makes it clear that these woods are a place outside of time and space. The group wakes up on their first "morning" at 2pm. Walking in a straight line brings them back to the same campsite they had left hours earlier. Phones and gadgets fail to work (though, that may just be the movie playing into a well-worn horror movie trope than the sinister influence of the Blair Witch). This is an intriguing concept, but one the movie leans heavily on. There have been a string of horror films in the past decade that center on a cast of characters entering a site that doesn’t seem to adhere to physics as we know it: Grave Encounters, As Above, So Below, House Hunting; also noteworthy is the Navidson house from the post-modern novel House of Leaves. The settings in these kinds of films are all powerful, seemingly unbound by any kind of even internal logic. There are no rules, and the only thing the characters seem to learn at the end is, "You were doomed from the moment you entered the woods/haunted house/abandoned mental hospital/Paris catacombs!" But when the setting/antagonist is all-powerful, if the characters never stand a chance at escape, all tension is sapped from the narrative. It’s not as though this malevolently disorienting environment is a new idea within the franchise, either. It shows up in The Blair Witch Project when the cast tries to follow the river out of the forest, only for it to lead them inexplicitly back to their starting pointing. This had the virtue of being far more understated than the eternal night in which the characters find themselves in the sequel, perhaps because it’s also one of the few straight-up supernatural occurrences in that first film. The Blair Witch Project was very much lightning in the bottle, a well crafted slow-burn horror film in which the horror was almost purely suggested rather than shown. In Blair Witch the horror is shown, again and again. In particular, we actually see the Blair Witch. For us, it was like “If we’re going to do this, we’re going to what I would’ve imagined a sequel to be when I was in high school when the first came out.” I wanted to see an amped-up version of Blair Witch. The result is what the director himself refers to as Blair Witch: The Ride. Maybe the studio thought this new Blair Witch reflected the tastes of modern movie goers: impatient, bloodthirsty, and unthinking. But the film didn’t exactly set the box office on fire, so perhaps movie-goers aren’t all that eager to fork over movie theater prices for a funhouse ride experience. When Blair Witch does try to add something new to the mythos of its franchise, the film half-asses it, never delivering on the scares it teases. For example, early on one character gets a cut on her foot. As the cut grows infected it’s implied to be supernatural in origin: the wound pulsates as if something is living inside it. But if there is supposed to be something gestating inside the character it never hatches: she ends up dying in a totally unrelated way, the mysterious cut a bloody red-herring. Sometimes other scares will come with no set-up and no reference to them ever again. In a moment that’s already been spoiled in most of the trailers, Ashley angrily snaps a stick-figure that has a bit of Talia’s hair wrapped around it. Talia immediately collapses to the ground, her back snapped in the same way as the stick person. It’s an out-of-left-field moment, but, although there’s no previous indication that the stick people are voodoo doll analogues, it’s not so much of a reach that it’s unbelievable. But after setting this up, the filmmakers never revisit the concept. It would have been easy to work into the film, too: later on, one of the characters goes axe-crazy and starts trying to kill the others. What if one of our heroes found a stick person representing him and broke it in order to stop him from killing them? It would have given a rare moment of agency to our lead characters and a pay-off for Talia’s seemingly arbitrary death. But the film never follows through; it is a collection of scenes. To give the new film points it at least looks good. With seventeen years between the shaky-cam of the first film and Blair Witch, you’d hope so: the characters have a lot more access to technology than the kids of 1999 did. Here we have not just handheld cameras but also video headsets which give the director a lot more points of view to choose between. The crew even has a drone, though it gets disappointingly very little use before it is dispatched. Yet despite all these gadgets and wizardry, at no point does it feel like Lisa is seriously working on a documentary. In The Blair Witch Project, there was at least footage of interviews with people in town, or of Heather shooting scenes that were clearly going to be in the documentary proper. Here Lisa’s biggest attempt at interviewing anyone is bugging Peter and James while they’re playing video games, asking them if they think the Blair Witch might be real (she doesn’t even manage to get an answer out of them). The prettiness of this film's picture has no purpose other than to look good. I was twelve when The Blair Witch Project came out. I loved it even though it terrified me (I even read all of The Blair Witch Files, a young adult novel spin-off series). But I am not its biggest fan: as an adult it’s not a film I readily recommend to people. If it sounds like I am praising the 1999 movie too much, it’s mainly because it does a lot of stuff right, especially compared to this new entry in the franchise. Blair Witch is simply a thrill ride that never met a jump-scare it didn’t want to make sweet love to. If you are looking for an adrenaline-pumping, edge-of-your-seat horror, then Blair Witch will fit the bill. Despite everything, it does have good moments as its characters run through those woods. It’s just that it’s a lot scarier to be stalked in the woods than it is to be chased.